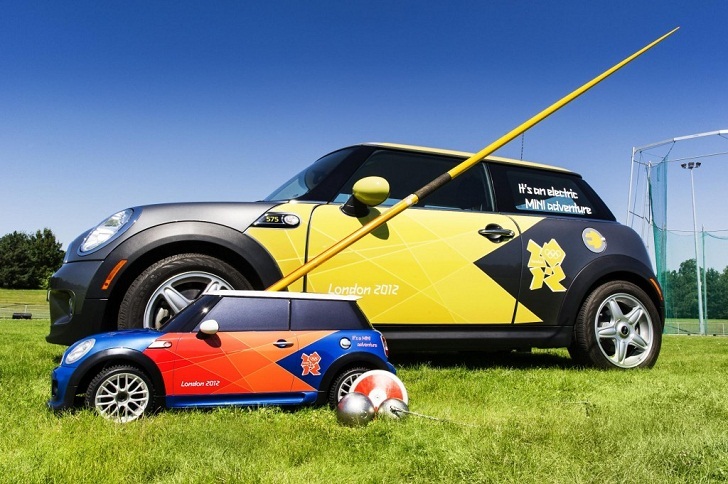 In addition to providing a fleet of green BMW hybrids and electric MINI Coopers for the 2012 London Olympic Games, BMW has also created a fleet of remote-controlled MINI Coopers for the games. Unlike the BMW 3 and 5 Series models that are being supplied to transport the athletes at the games, the small remote-controlled MINI Coopers are being deployed specifically to assist with clearing the field during Olympic events. 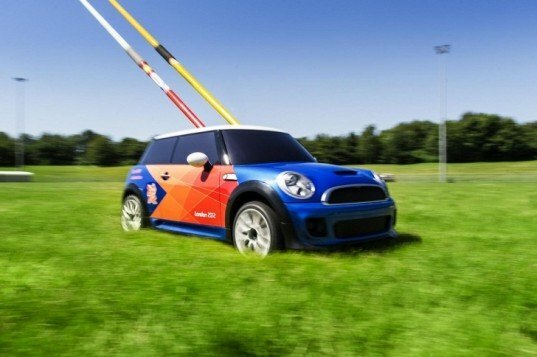 The electric remote-control MINI Coopers are 1/4-scale sized Cooper hatchbacks that are being used to pick up javelins, discuses and hammers at the field events. The remote-controlled MINIs aren’t just a small toy version of the MINI Cooper, they have been designed to carry up to 18 pounds, which is about the weight of a hammer or two javelins. The remote-controlled cars can run up and down the field for 35 minutes before they need to be recharged, which takes about 80 minutes. The MINI Cooper remote-controlled cars may be an ingenious marketing ploy, but they do serve as an efficient and clean way to the Olympics running smoothly. would like to buy a r/c mini cooper like the one in olmpics where can i get one? I want one...sign me up.